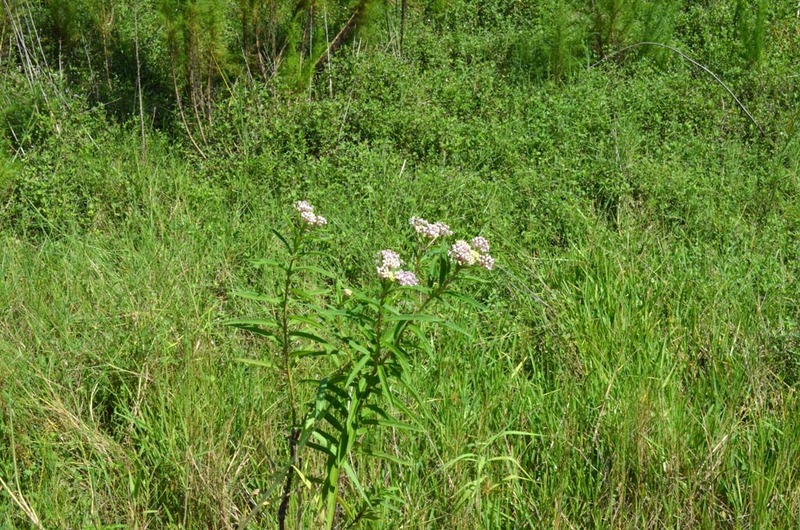 Our destination today was the north side of the St. Sebastian River Preserve State Park. 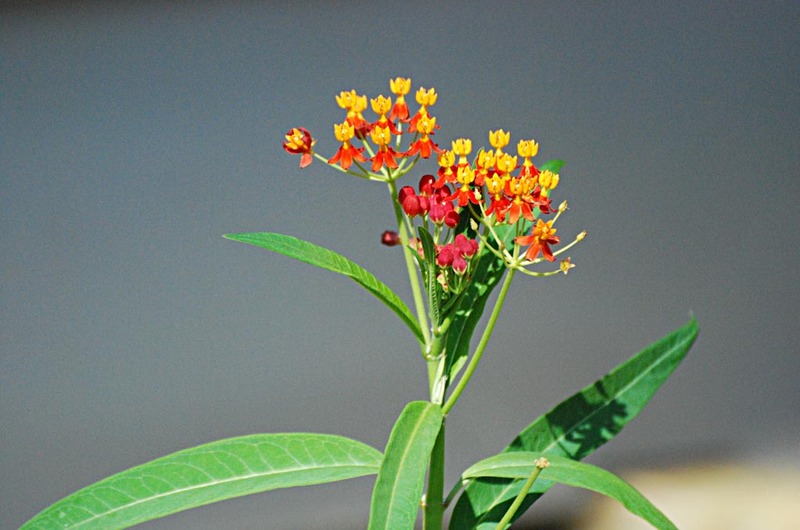 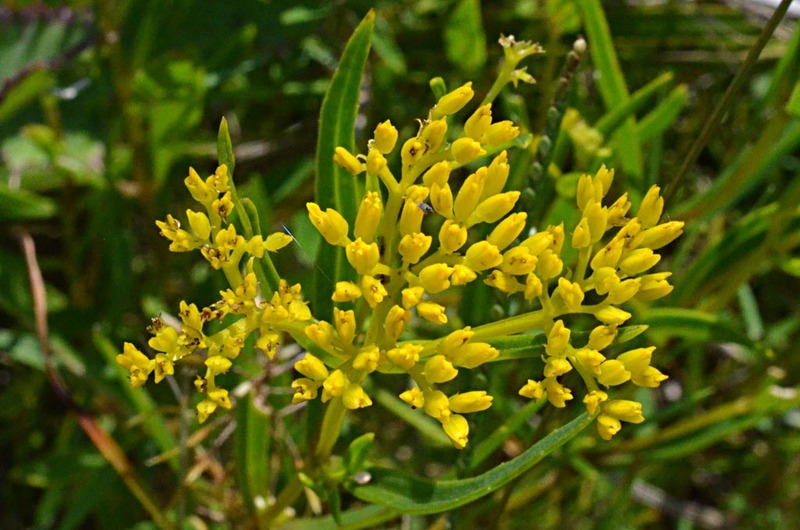 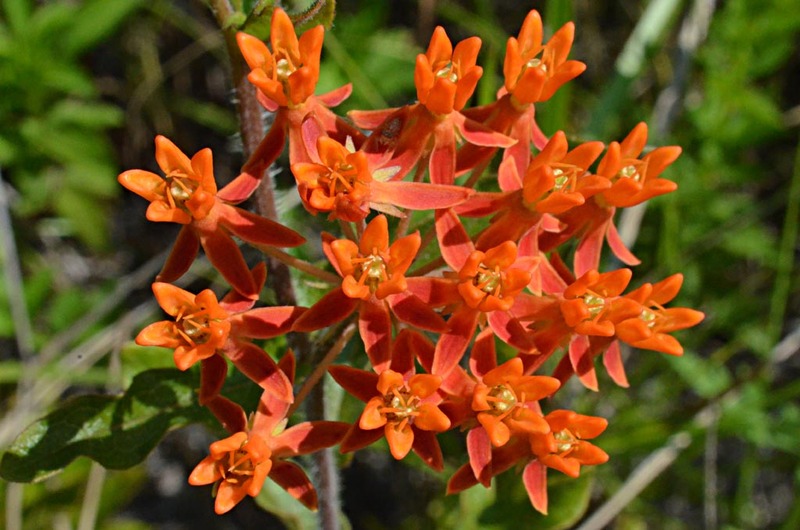 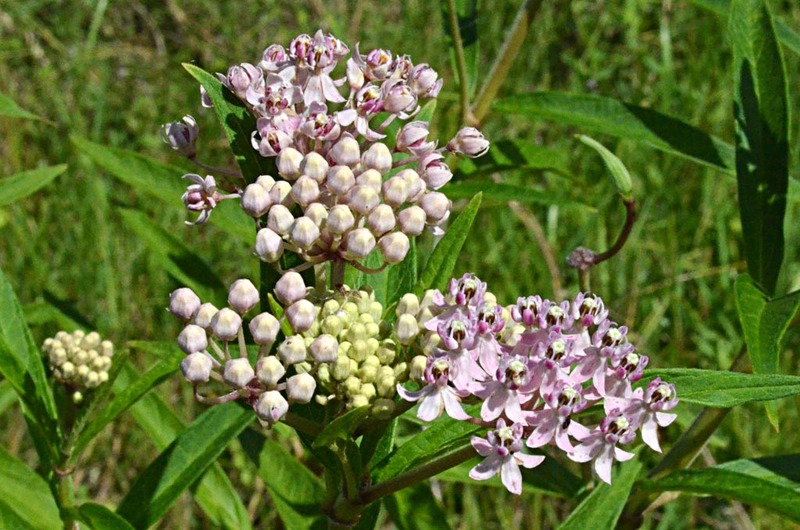 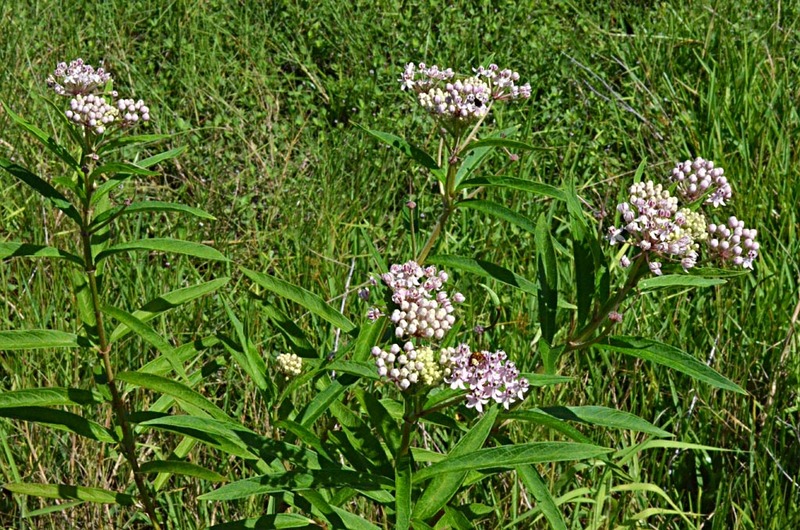 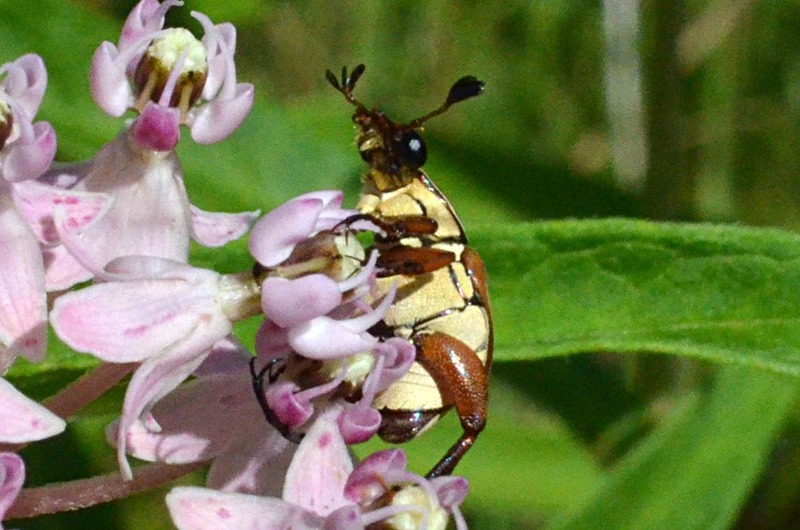 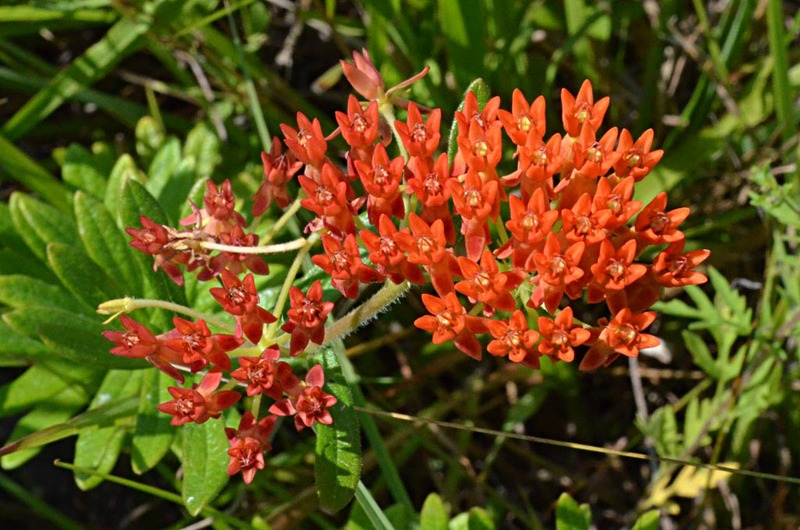 All of the following photos were taken near the horseman's headquarters, except for the swamp milkweed, which was found on the north side of the main road (unpaved) that runs parallel to the C54 canal. 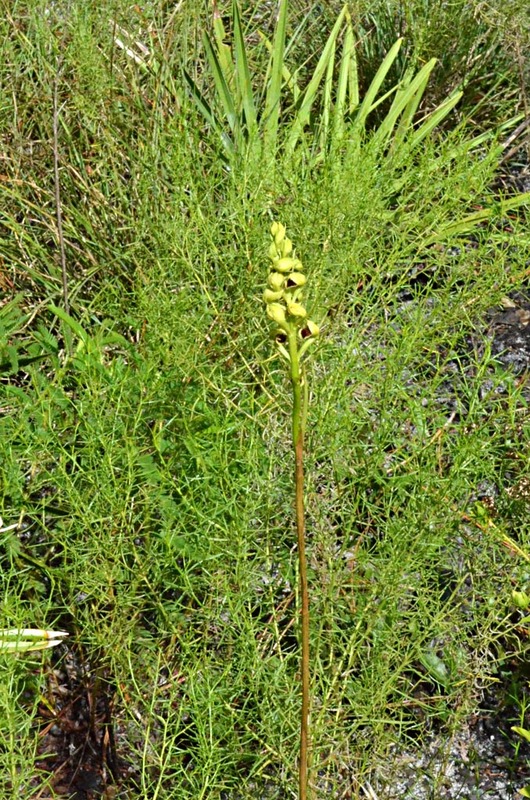 Found only this one plant. 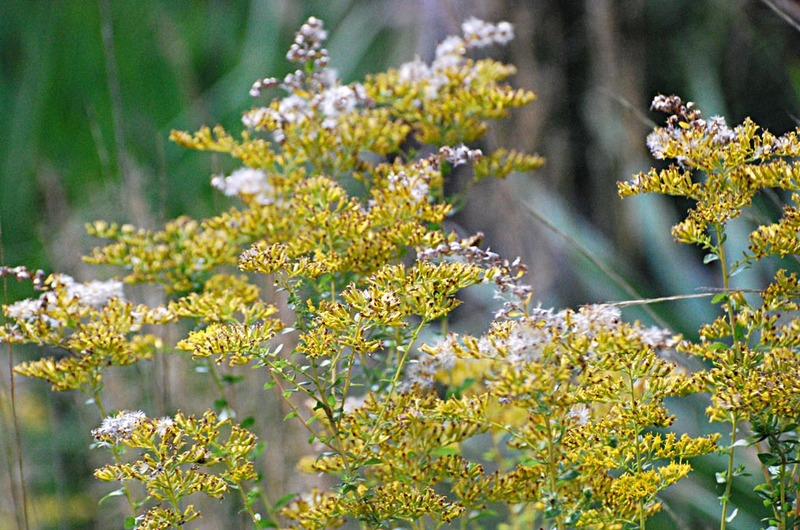 Most of the goldenrod was going to seed, which gave them a frosted look. 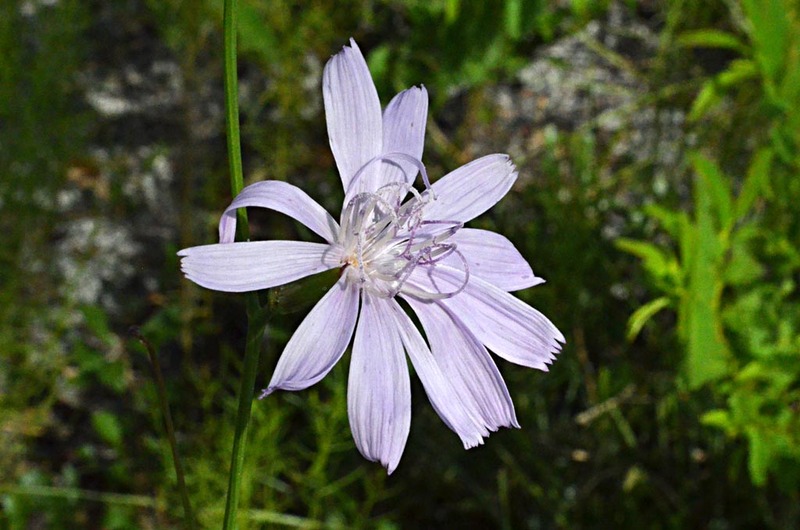 This was a new flower for me. 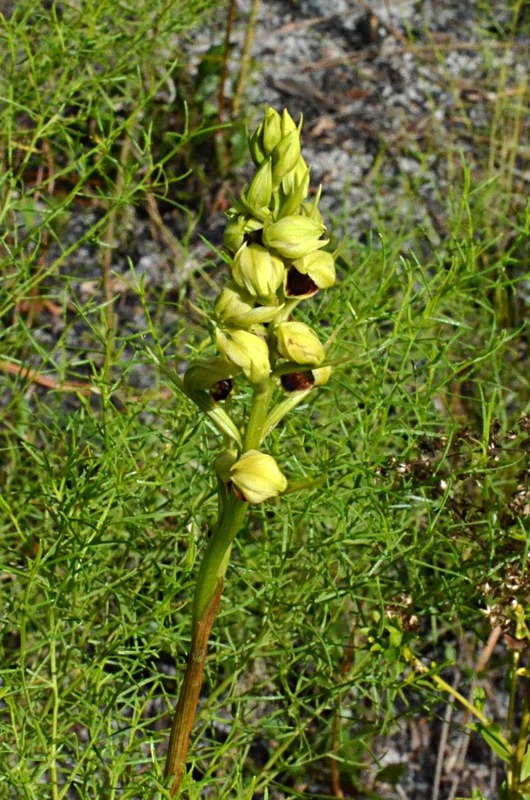 This specimen was almost 3-ft tall, bare stalk with flowers at top. 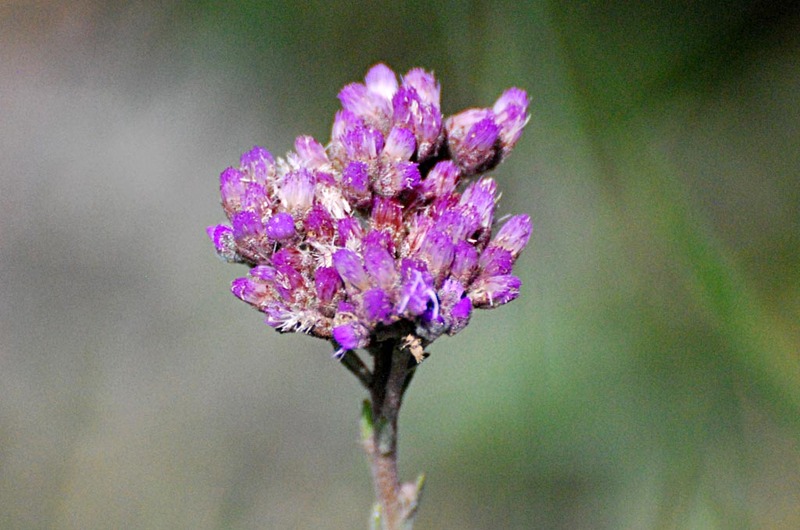 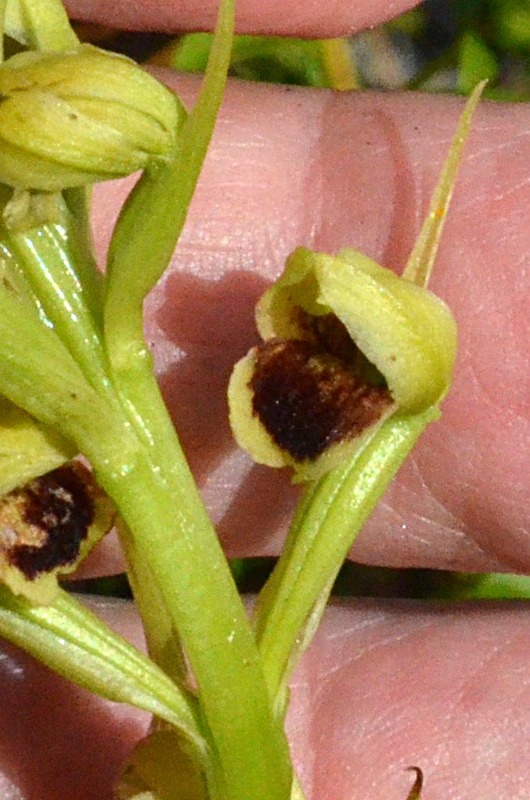 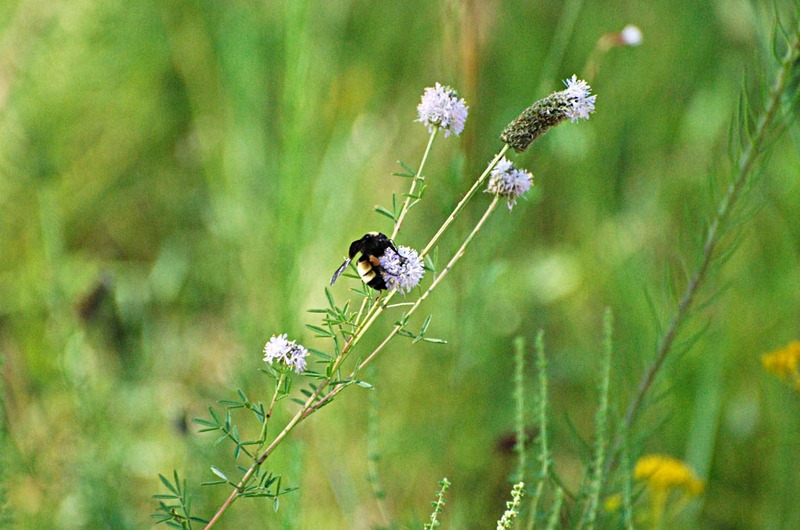 Flowers are green with lower lip brown or dark purple. 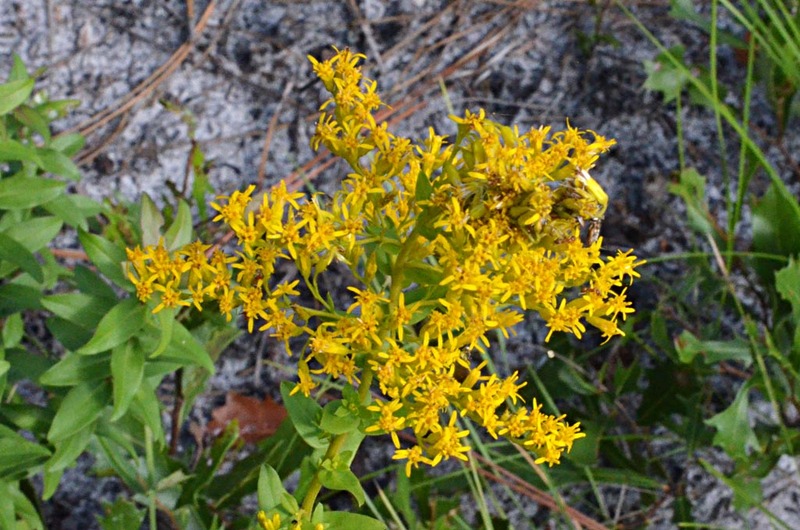 Habitat is dry, sandy sites, pinelands. 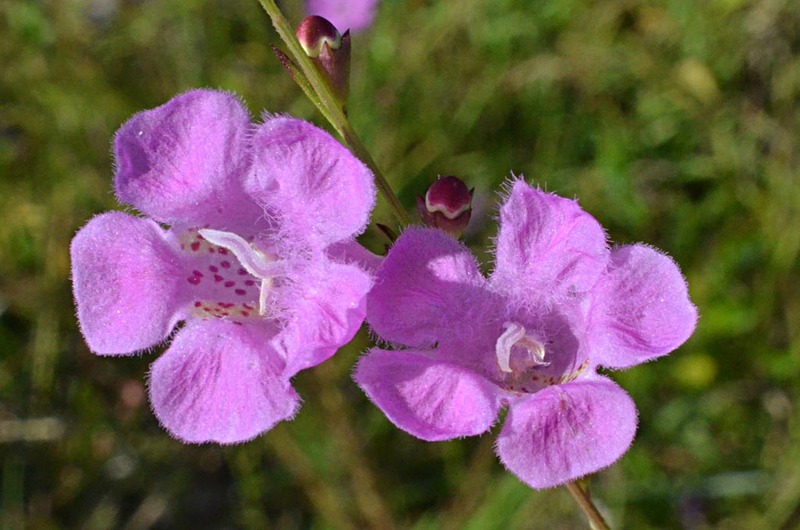 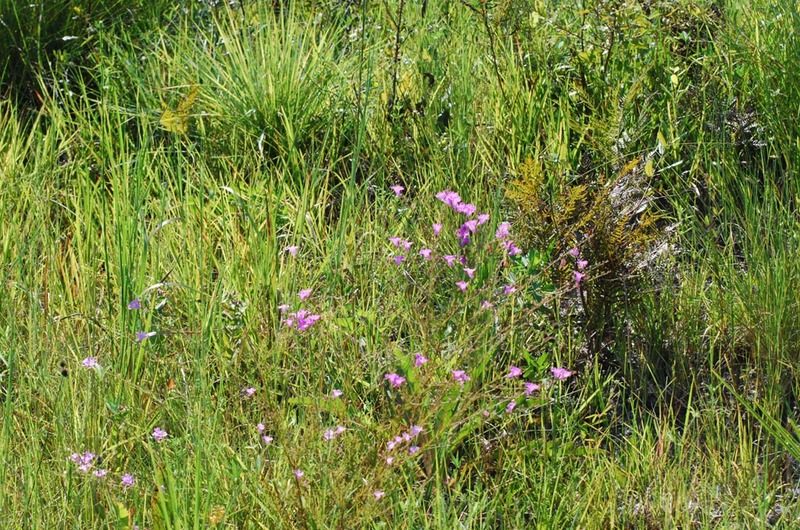 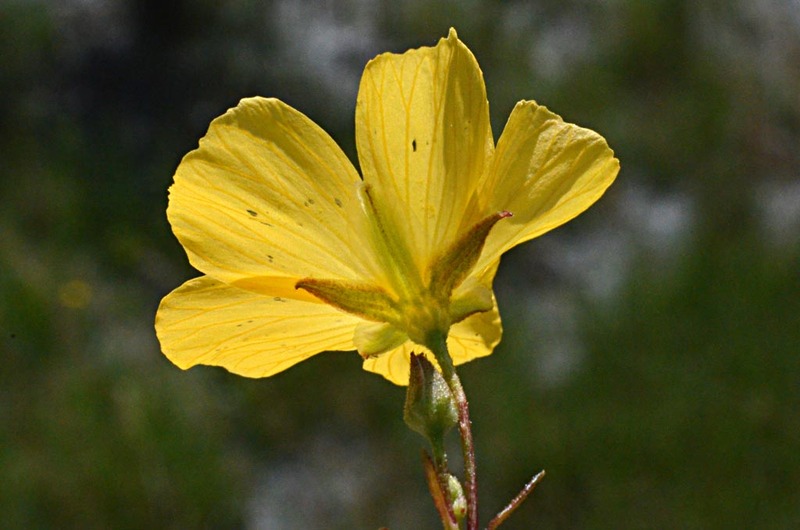 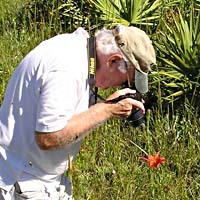 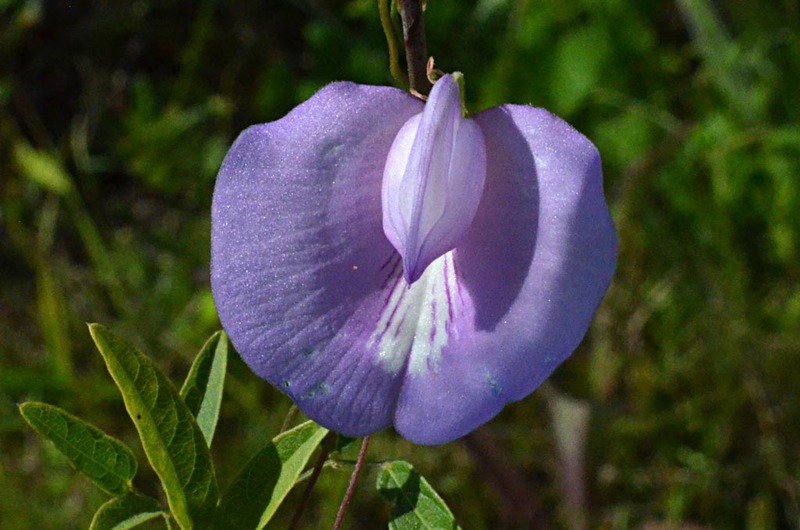 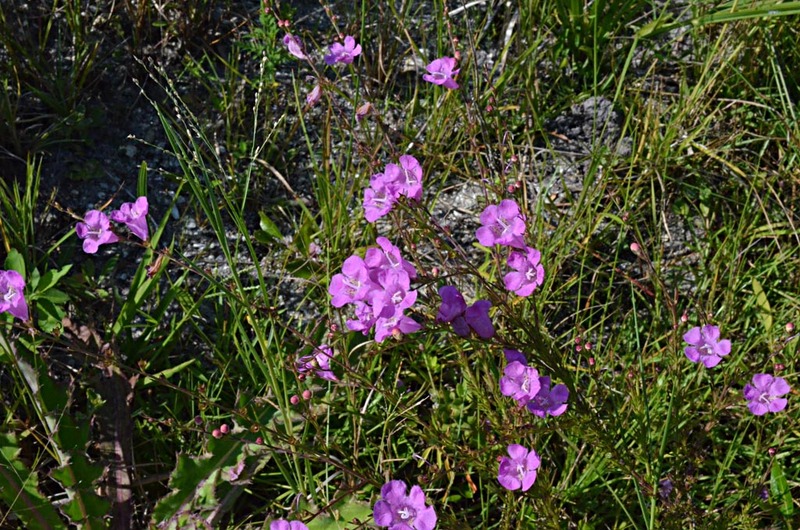 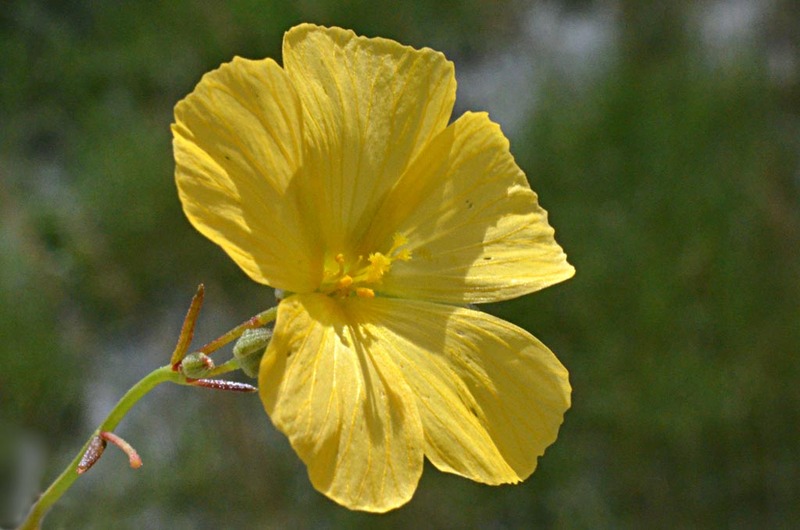 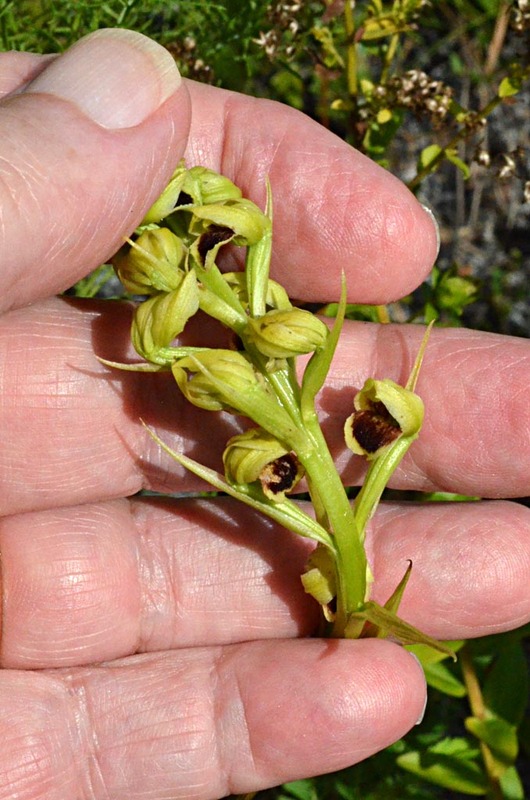 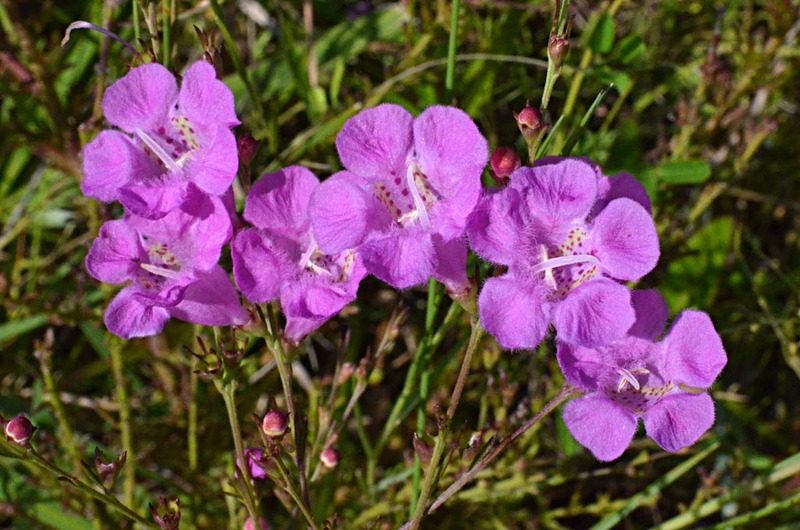 Roger Hammer in his book, Everglades Wildflowers, 2nd Ed., states, "Recent DNA work at the Royal Botanical Gardens, Kew, has reinstated this species in the genus Elophia from Pteroglossaspis." 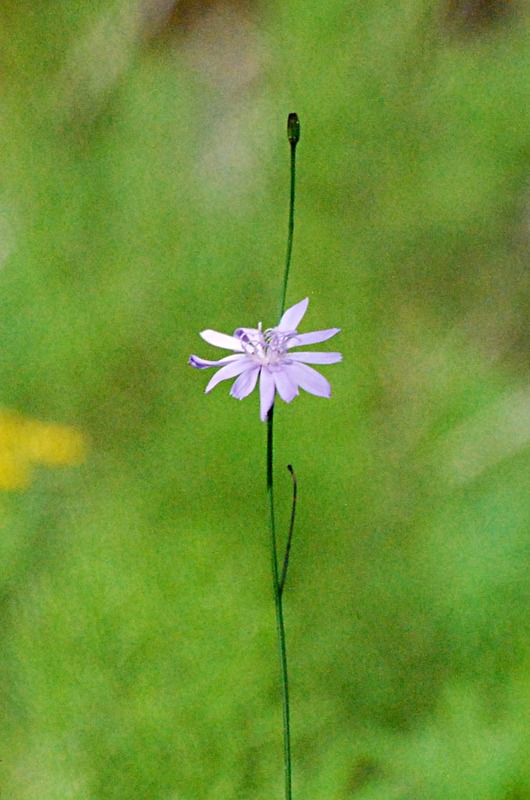 Another common name for this species is "crestless plume orchid." 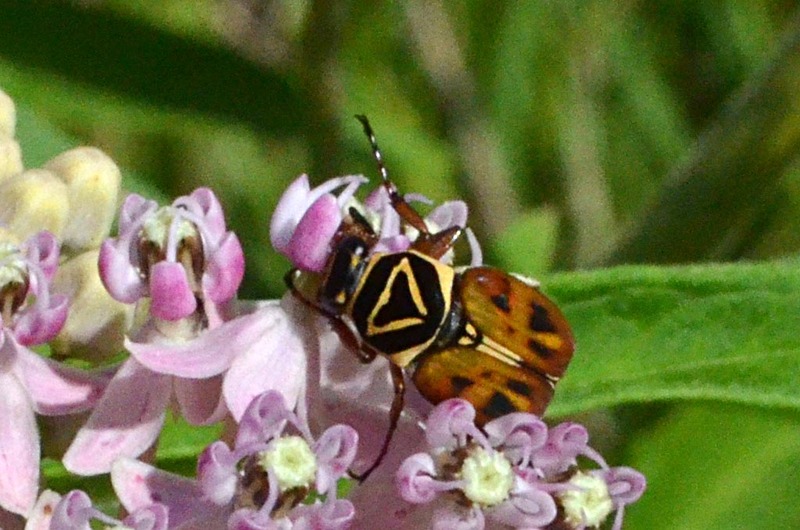 I have not been able to identify the beetle that was grazing on the flowers. 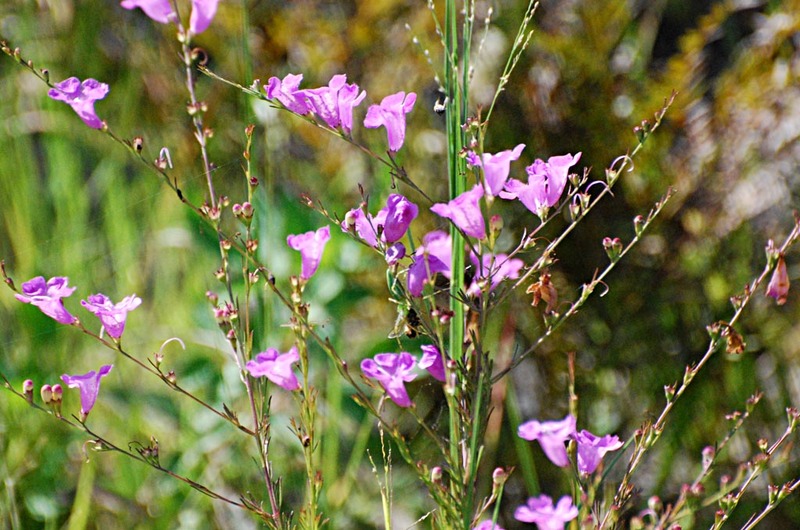 Most of the wildflowers shown here were found along the short road leading to the parking lot. 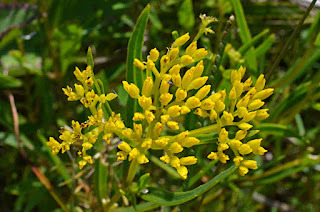 This plant was abundant; found on the south side of the entrance road. 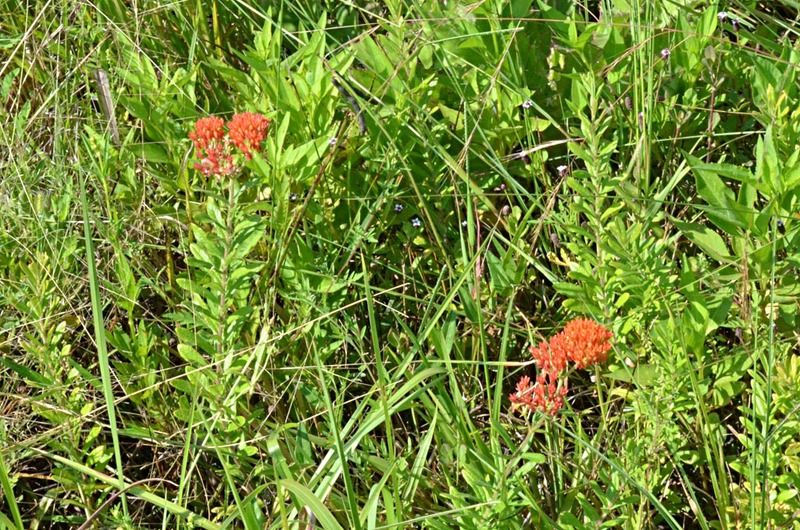 We found two butterfly weeds near the entrance. 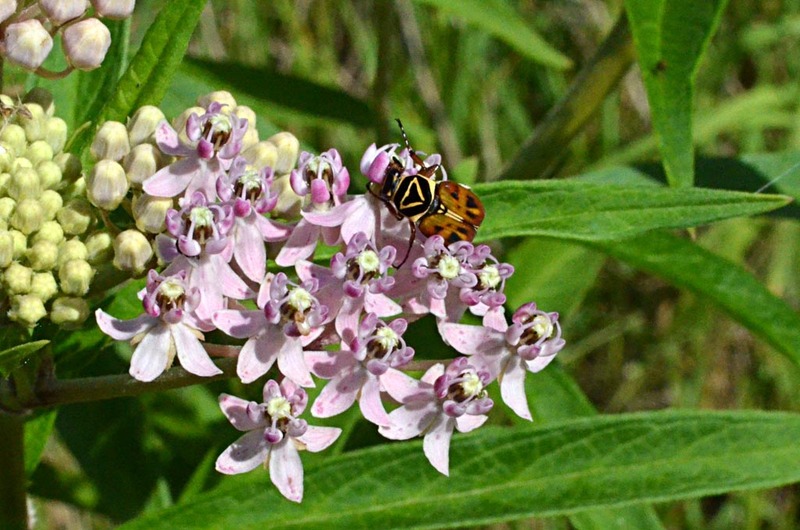 This milkweed species does not have milky sap. 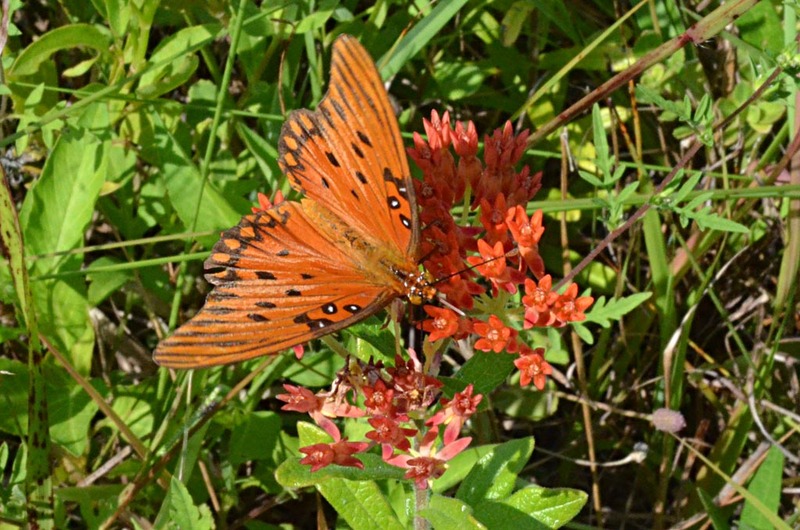 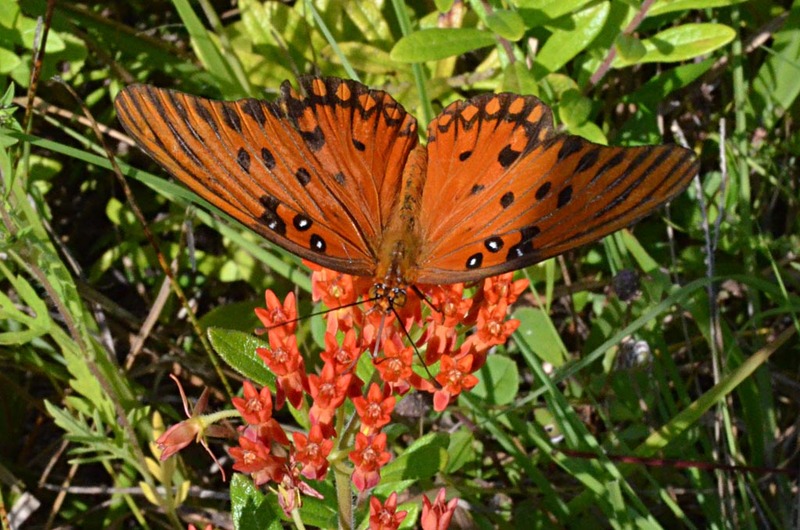 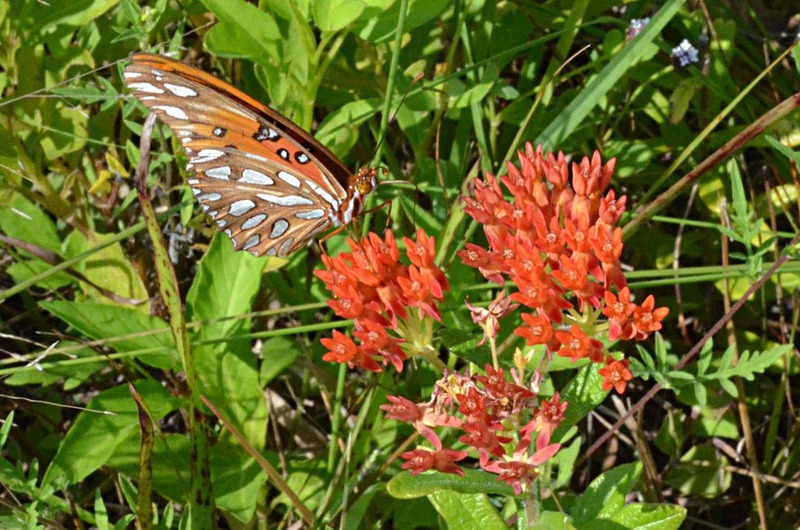 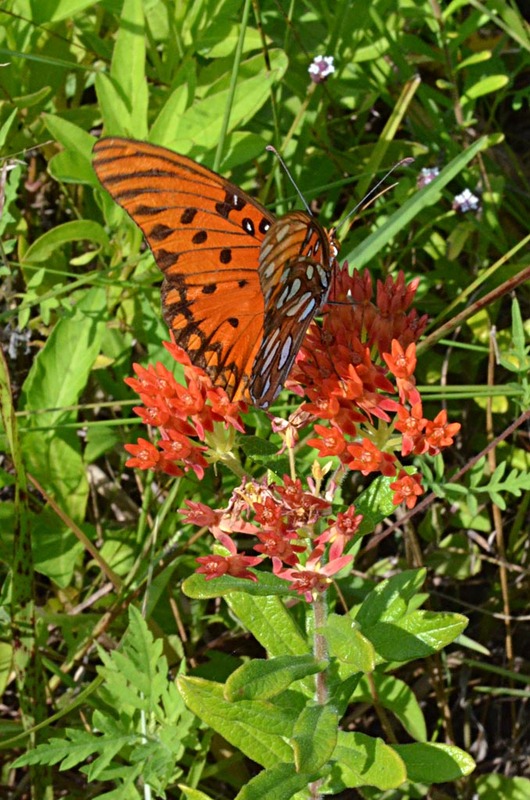 The orange butterfly is a Gulf fritillary. 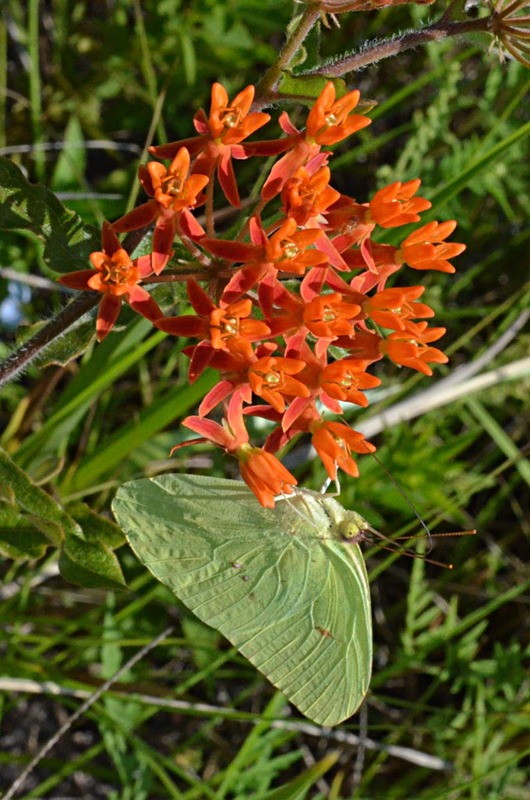 The yellow one is a cloudless sulphur. 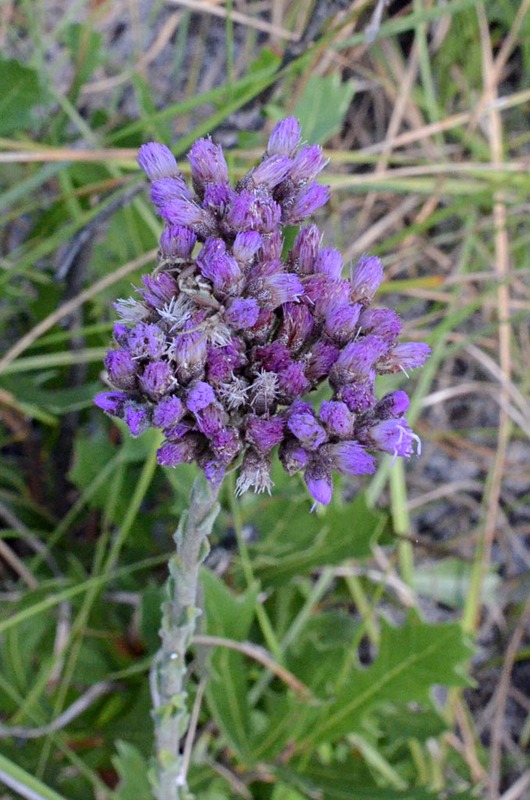 This plant was found near the visitor center building.